All the cool kids are doing it! No not defacing public property, not even art. But drinking fancy cocktails. 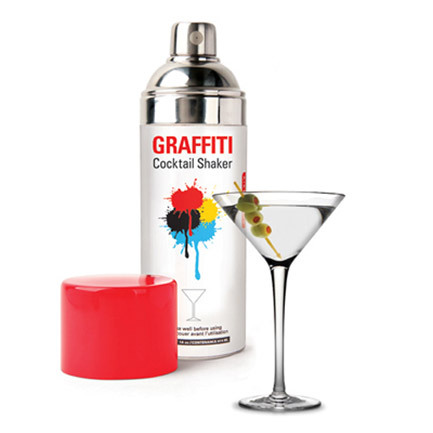 Shaken and not stirred. 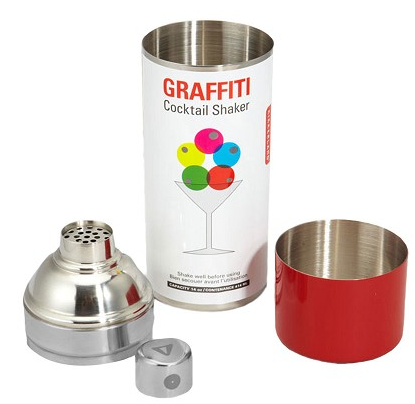 Now you can relive your misspent youth before facebook with a shaker shaped like the tool you used to use to tell people that you had been there… $21.99 isn’t that much to spend for 14oz of ice breaking, drink shaking, and memory making now is it? 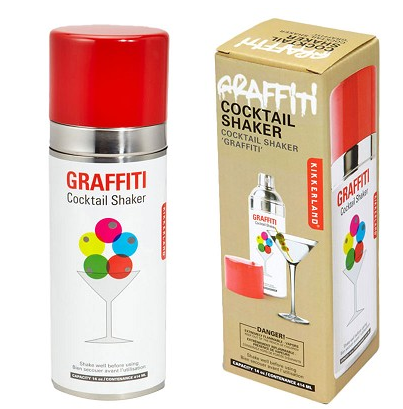 GRAFFITI SPRAY PAINT COCKTAIL SHAKER. Brilliant idea. I want one.